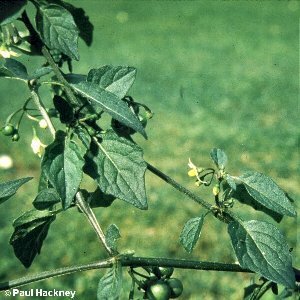 A rare annual weed of arable fields etc. 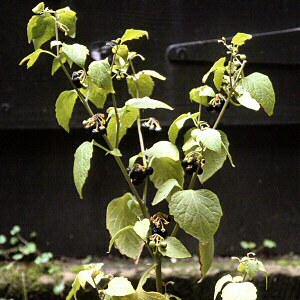 ; flowers white, similar to those of a potato plant; fruit a fleshy berry which is usually black when mature. 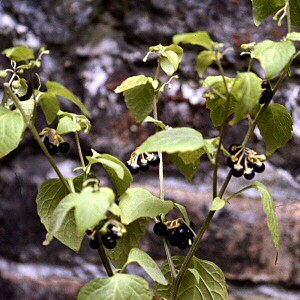 All names: Solanum nigrum L.